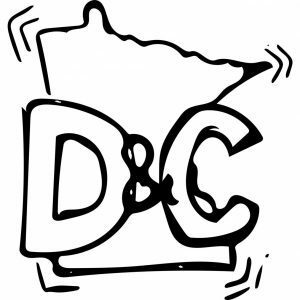 D&C (thats what I’m calling it) is a blog concerning Minnesota sports and the doomed supporters of local teams here in the Twin Cities. For too long the media has sugarcoated seasonal failures while failing to hold accountable owners, coaches, underperforming stars and GMs that consistently drain us of our time, energy and money while producing a mediocre product on the field. Dump and Change aims to expunge the collective losing culture that inhibits the state and usher in a higher standard set by a die-hard fan base that not only wants, but EXPECTS to compete for a championship in all four major sports (NFL, MLB, NHL and NBA) on an annual basis. We don’t see what makes cities like Chicago, Boston, New York or San Francisco so special; the passion and commitment to bring in championships to Minnesota was well established even before the Lakers left for Los Angeles. An entire generation of fans have grown up following these teams relentlessly year in and year out with absolutely nothing to show for it (sorry, Lynx). We have wandered the desert for too long, Minnesota. It’s time we find this promised land. Mitch Linsley, chief writer and editor.